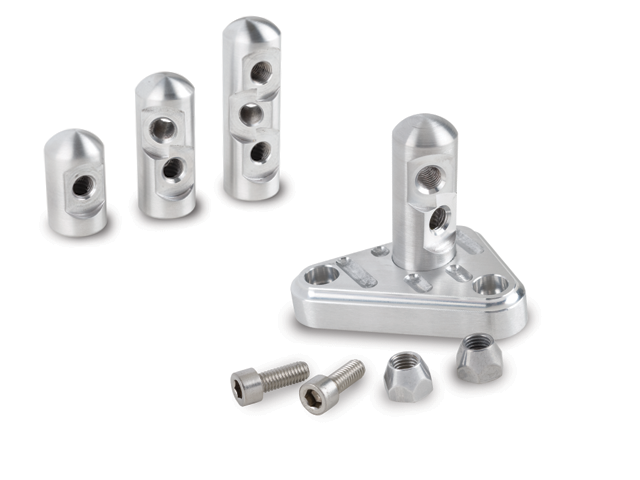 Stainless bracket mounts to rear of Holley, Edelbrock, AFB, Quadrajet, Demon (excludes Street Demon), and In-Line Dual Quads. 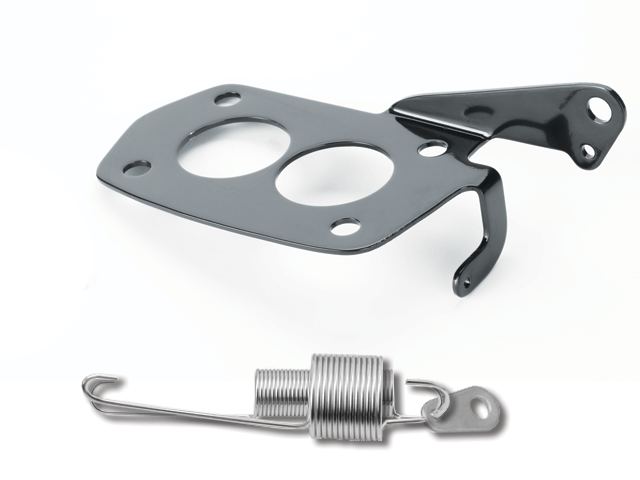 Stainless bracket and GM designed dual stainless springs are used to mount Lokar's Throttle Cable and Kickdown kits. 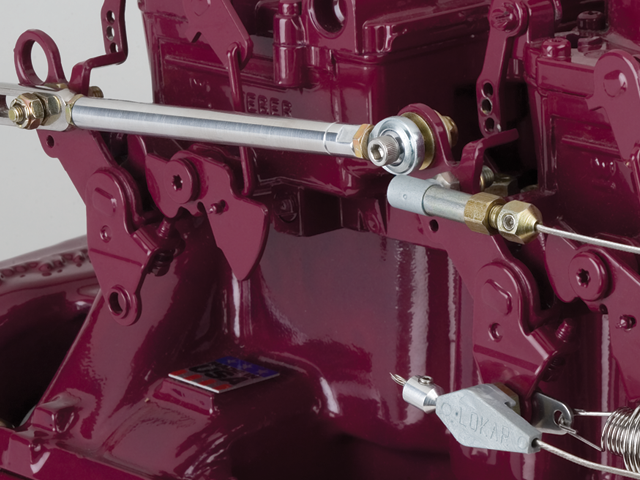 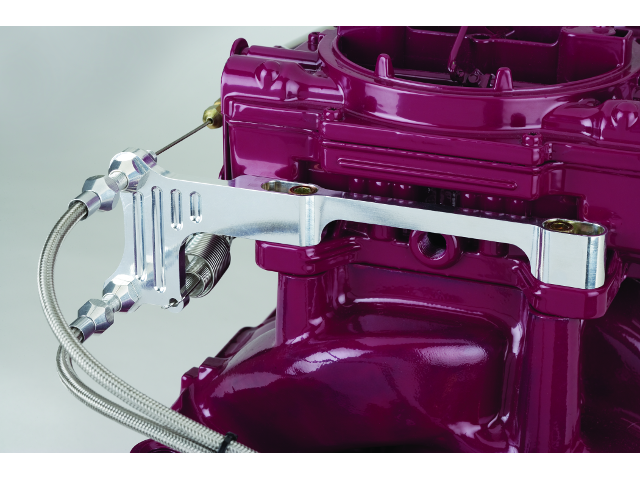 Design provides improved clearance on Edelbrock carbs. 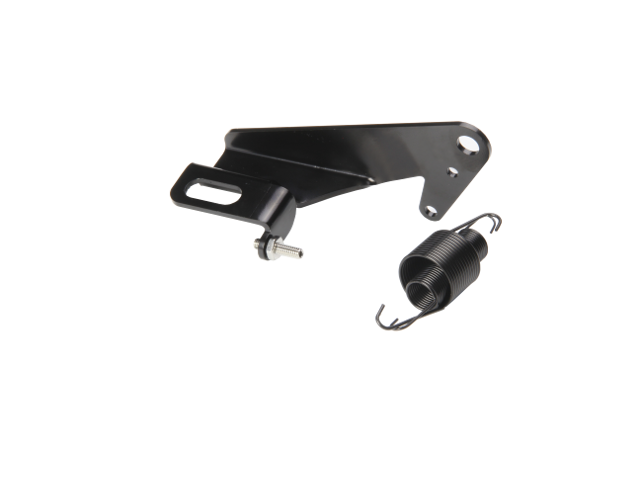 Design includes tension screw to prevent bracket from movement under extreme pressure on a kickdown cable, such as with a 700-R4 transmission. 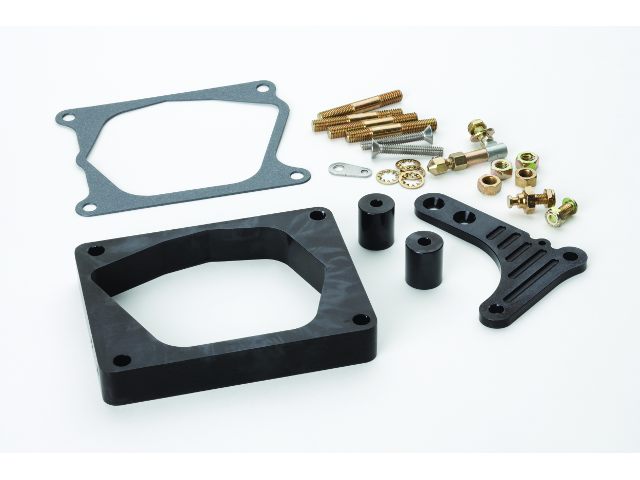 New Throttle and Kickdown Cable Mounting Brackets for FiTech and Holley Sniper EFI applications. 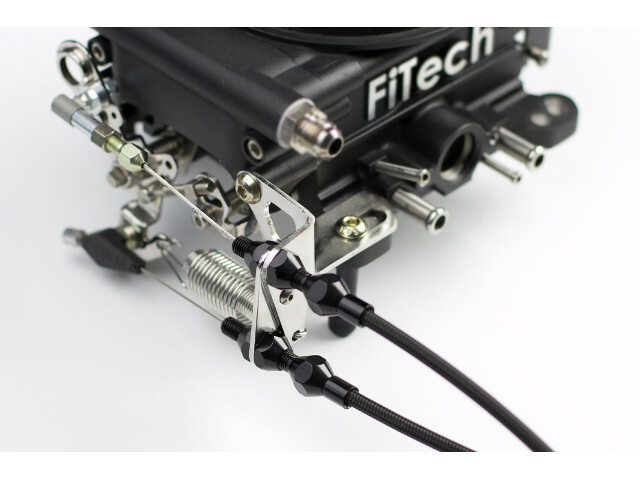 These new brackets allow for a clean and simple integration between Lokar's throttle and kickdown cables and FiTech or Holley Sniper EFI Systems. 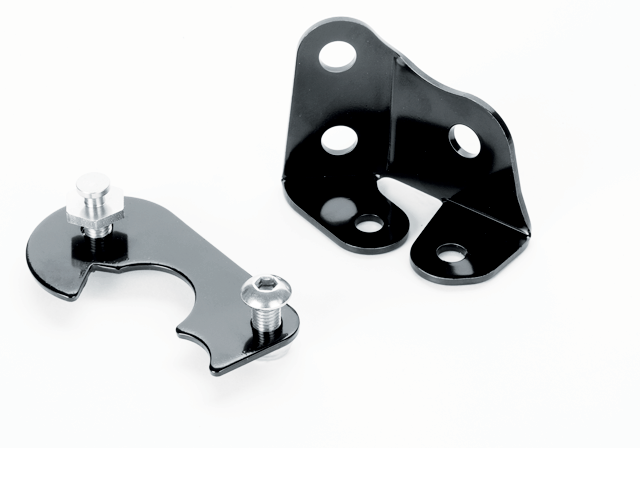 The FiTech brackets are available in polished or black stainless steel and come with all mounting hardware and return springs. 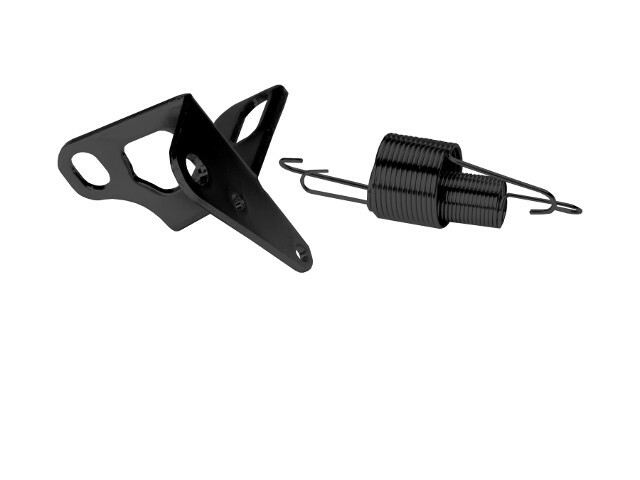 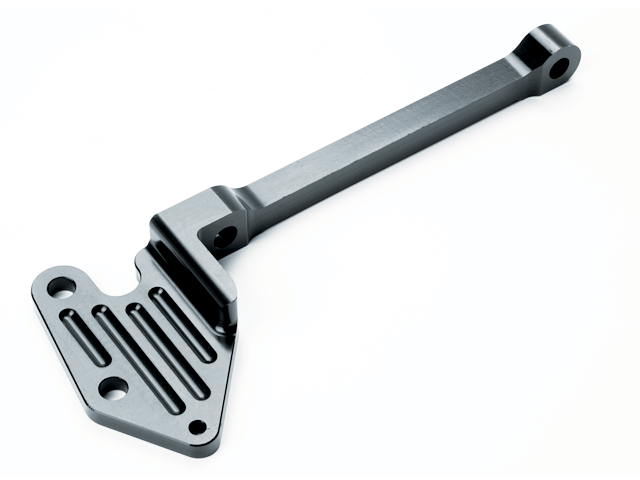 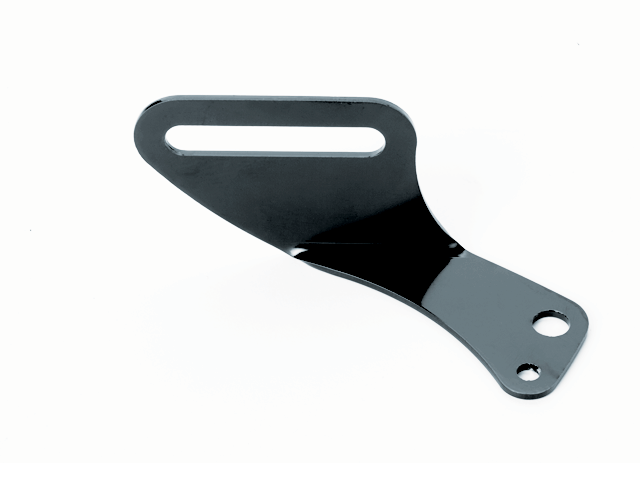 The Sniper brackets are available in polished or black stainless steel and black anodized or brite billet finish. 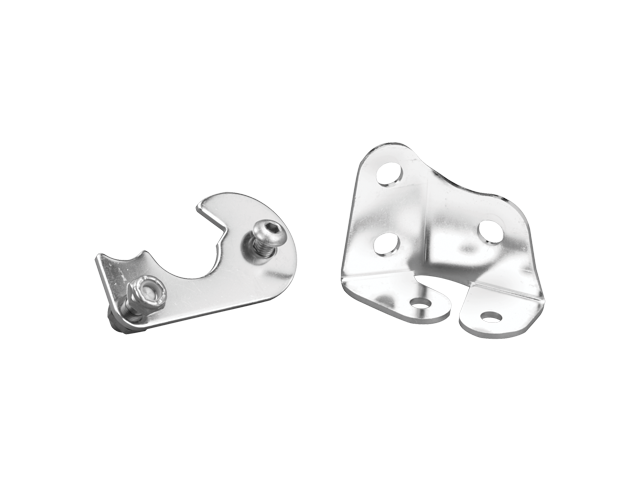 The billet aluminum bracket mounts to the side of the Tuned-Port plenum. 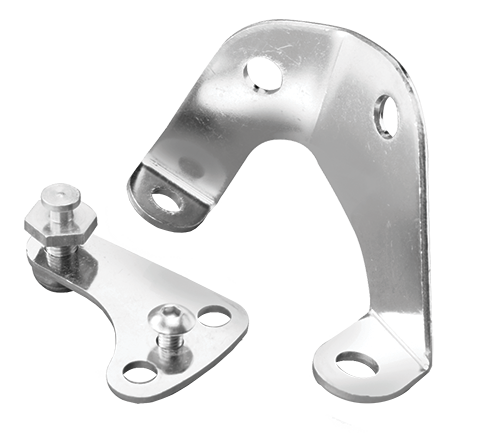 The billet aluminum bracket is available with a single stud for throttle only, double stud for throttle and kickdown, and triple stud for a throttle, kickdown and cruise control. 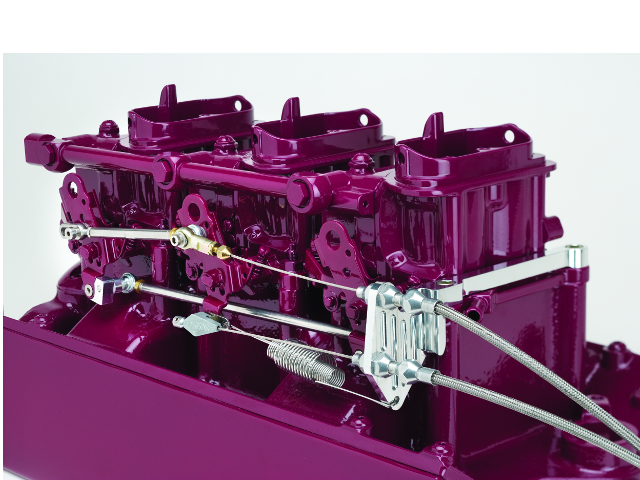 Lokar's answer to LT1 cable problems. 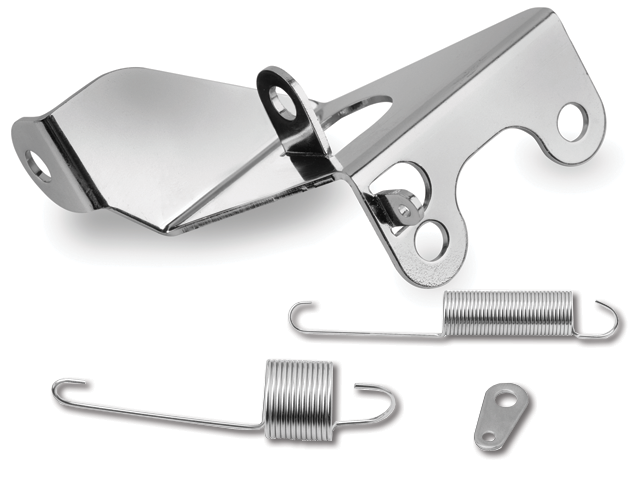 Stainless Throttle and Kickdown Brackets replace factory brackets. 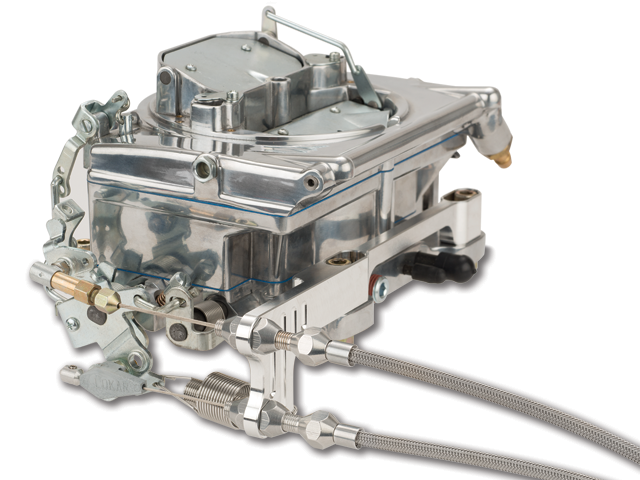 Kits include stainless arm to mount on LT1 throttle body to operate kickdown. 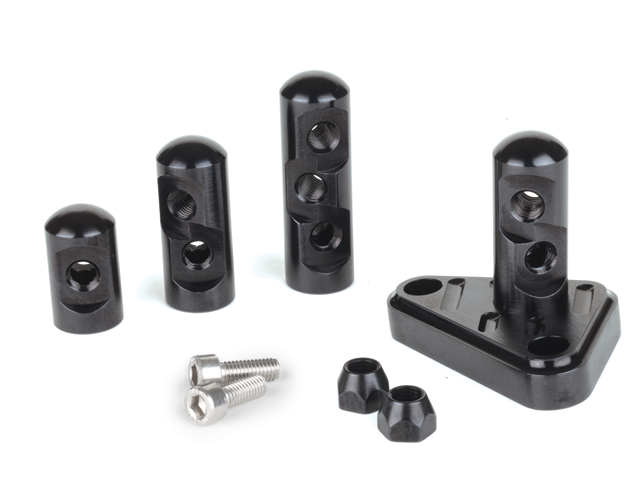 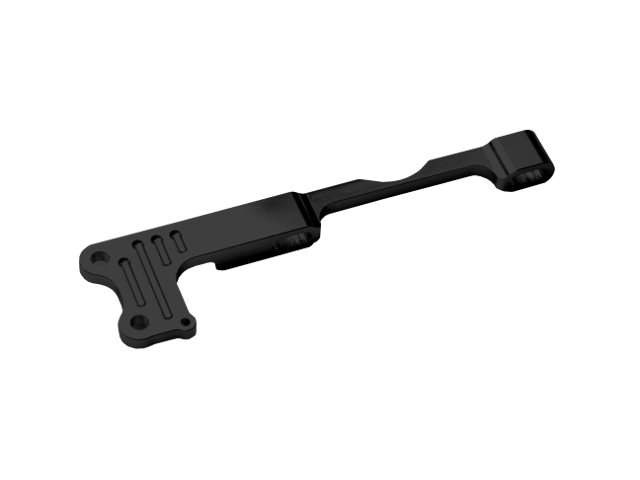 Designed to be used with Lokar's Tuned-Port Throttle Cables and Tuned-Port Kickdowns. 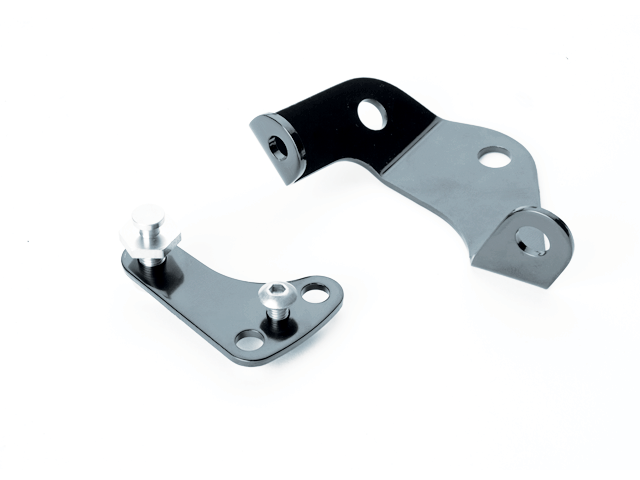 The billet aluminum bracket mounts to the side of the LS1 manifold and is available with a single stud for throttle only or a double stud to add a cruise control cable. 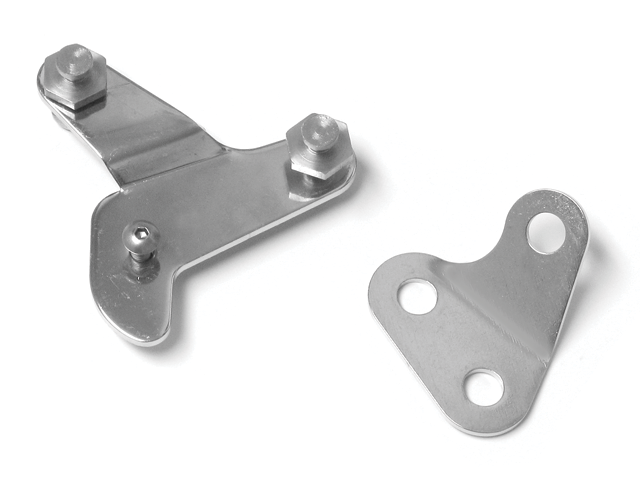 These brackets, along with Lokar Throttle Cables, will allow the Ram Jet to work properly in any vehicle. 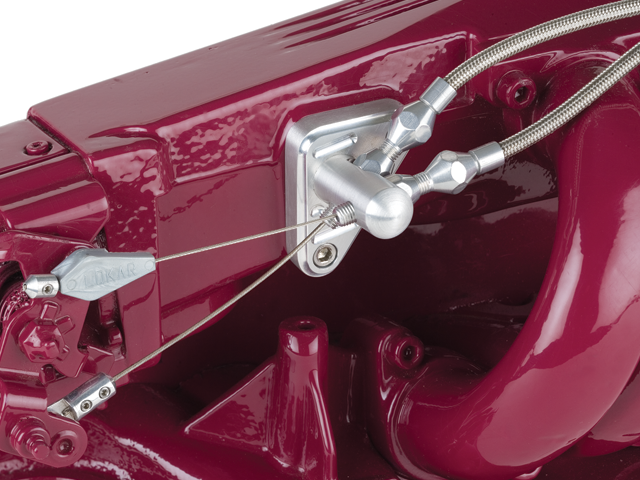 When used with an automatic transmission, be sure to use the transmission specific Lokar kickdown cable. 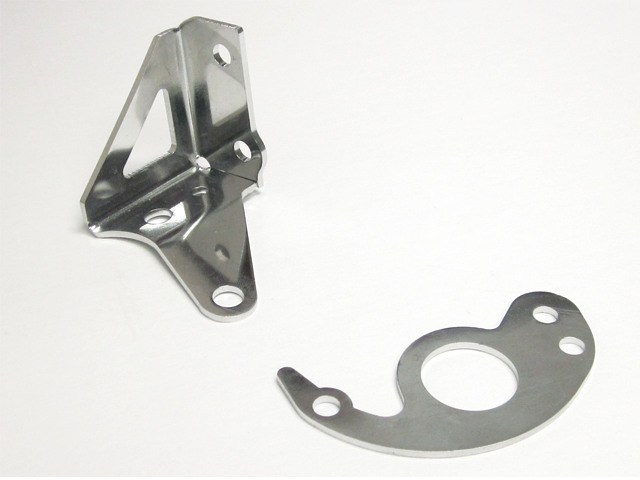 Ford EFI Bracket fits 1986 to 1993 Ford 302 and 351 electronic fuel injection systems that have the Mustang EGR spacer installed. 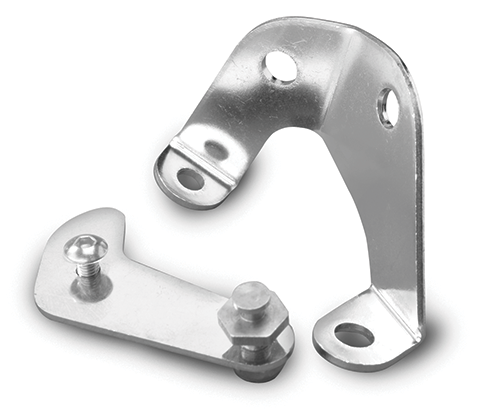 This Stainless Bracket mounts in stock location for easy installation of our Kickdown Cables and Throttle Cables. 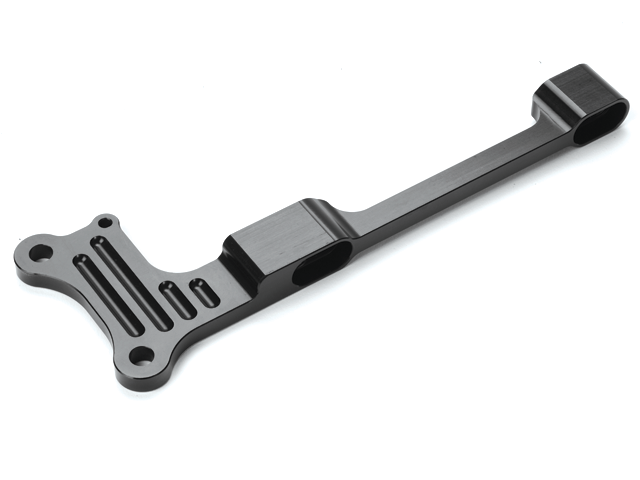 The EFI Bracket does not fit B.A.P. 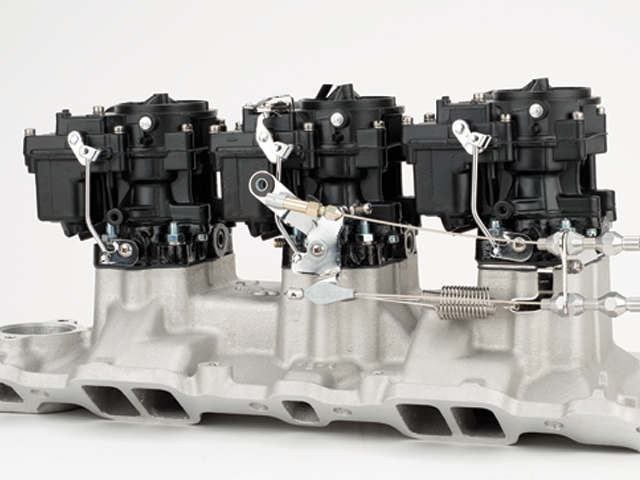 throttle bodies. 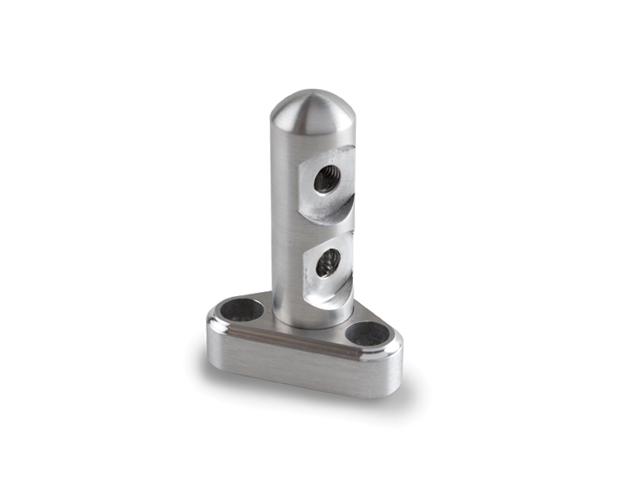 Designed for Rochester Tri-Power. 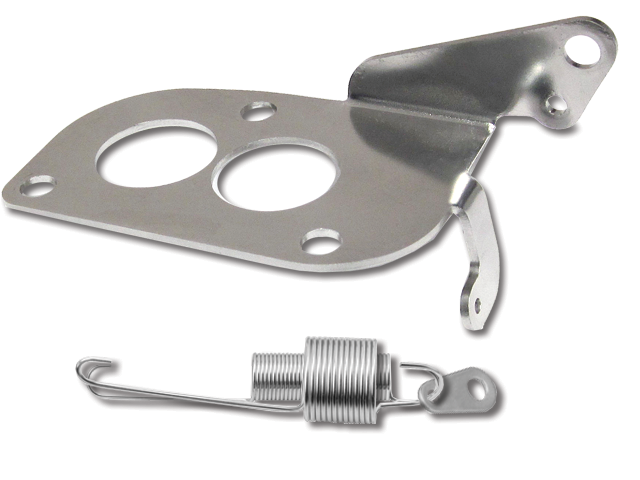 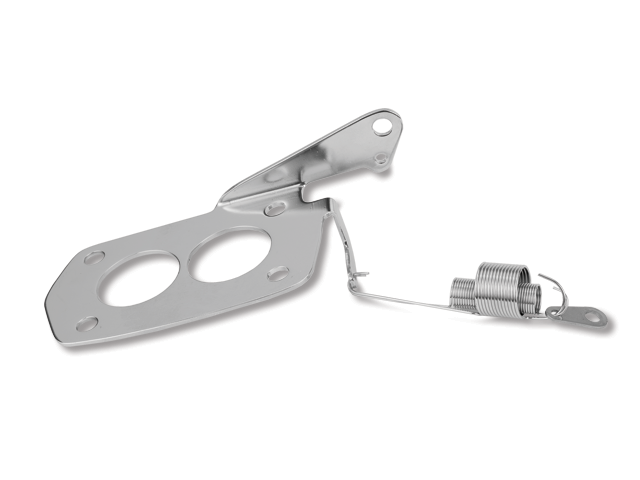 Kit includes Stainless Steel Throttle Cable Bracket and Stainless Steel Springs. 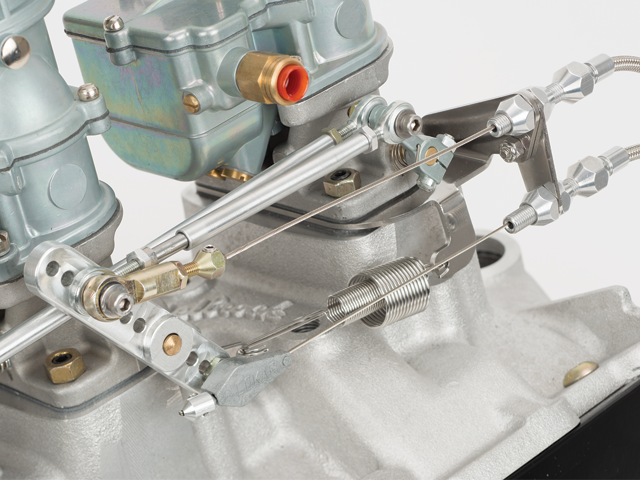 Stainless bracket mounts under rear carburetor on Rochester 3-2 set-up. 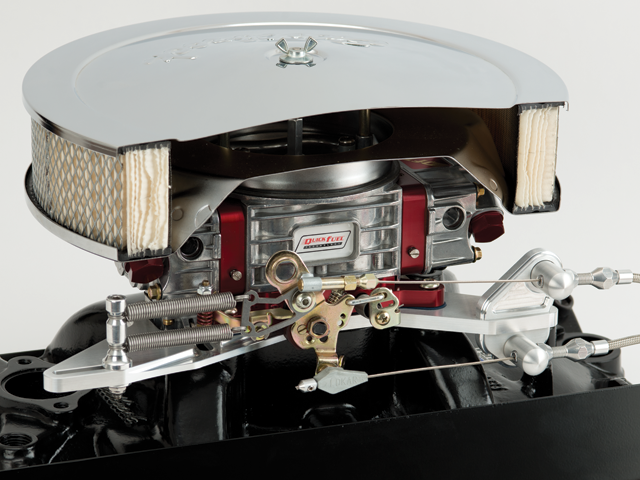 Cables operate from center carburetor. 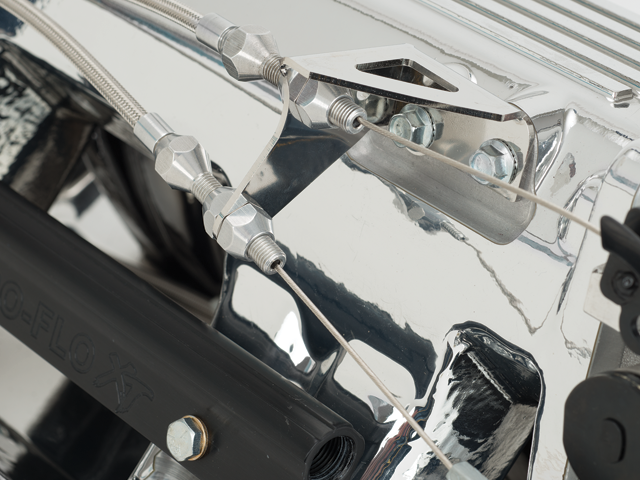 Stainless Bracket and Dual Stainless Springs are used to mount Lokar's Throttle Cable and Kickdown assemblies. 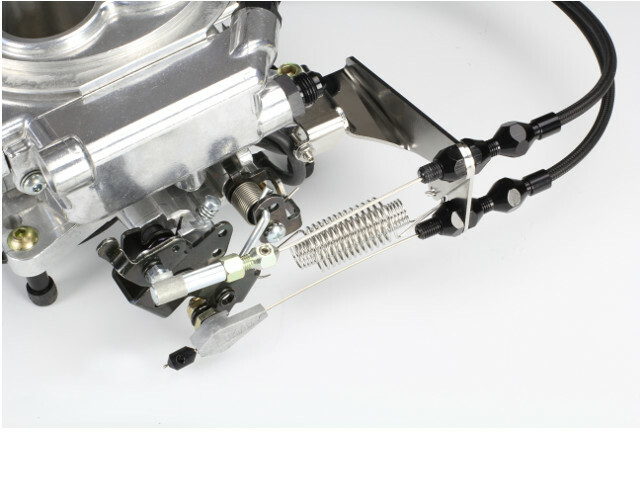 Intended for street applications, the kit includes throttle cable and transmission kickdown cable provisions. 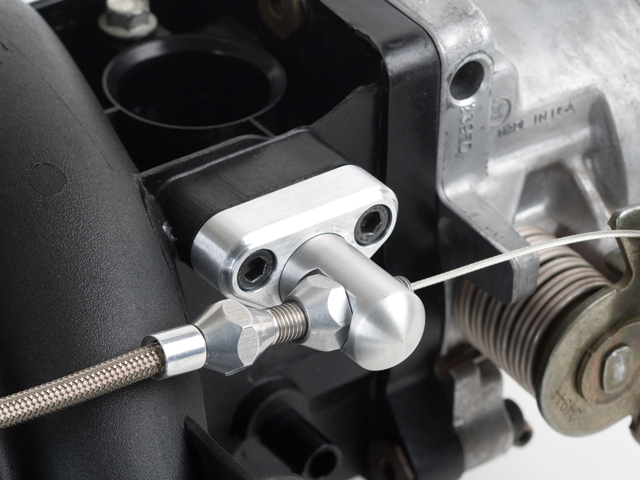 Works with Lokar throttle and kickdown cables. 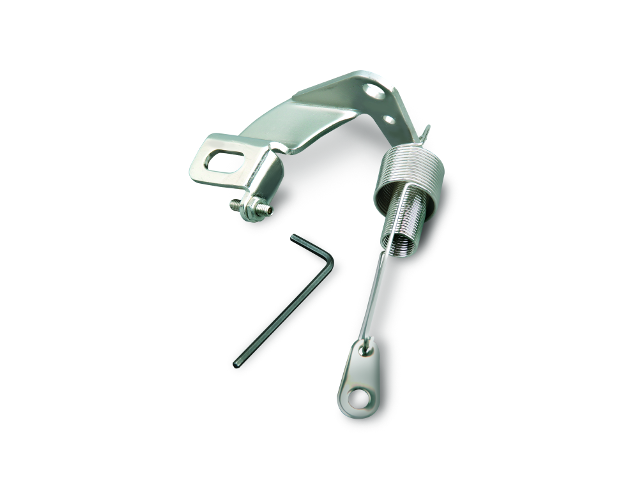 Includes stainless steel return springs with dual wound ends for safety and also has adjustable spring tension. 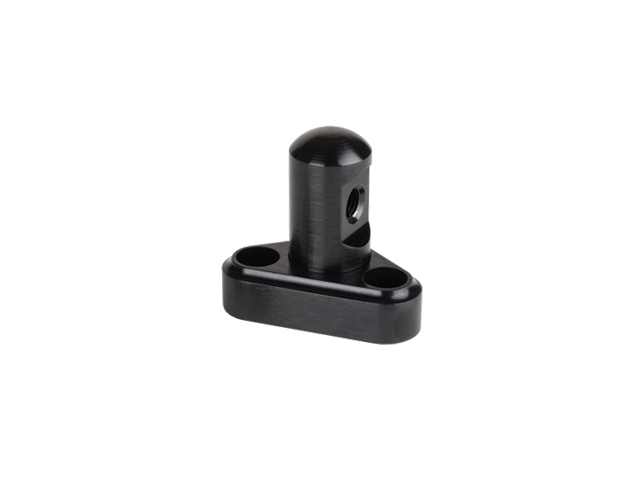 Fits most drop base air cleaners. 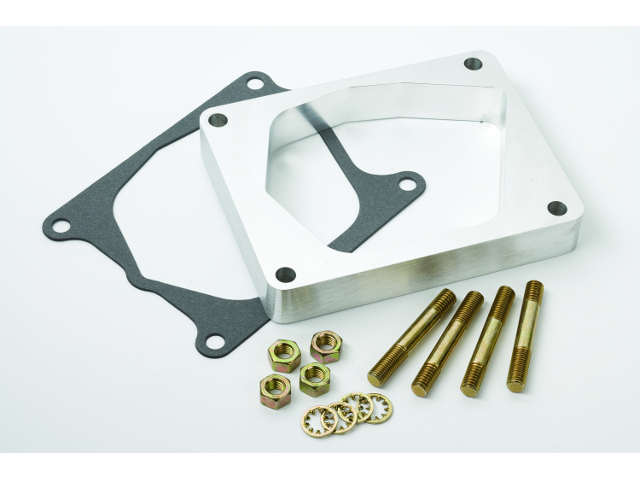 Works with single or dual plane intake manifolds. 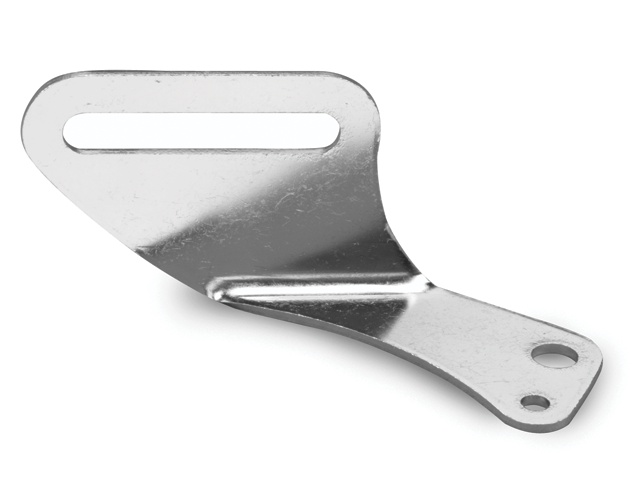 The Lokar Billet Aluminum Throttle/Kickdown Cable Mounting Bracket for Street Demon™ Carburetors is CNC machined from 6061-T6 billet aluminum. 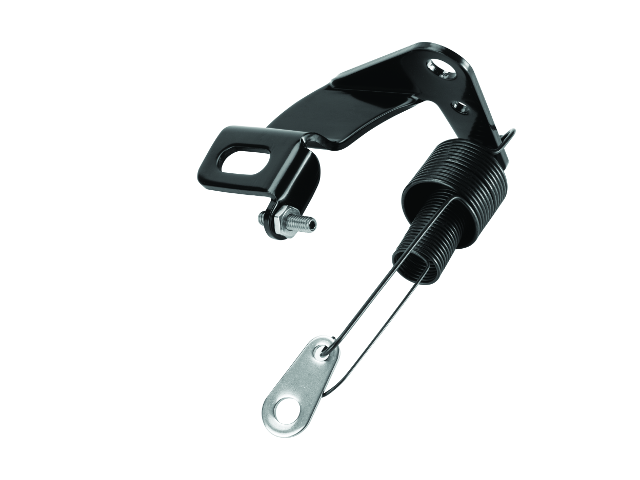 It provides easy installation of Lokar's Throttle and Kickdown Cables. 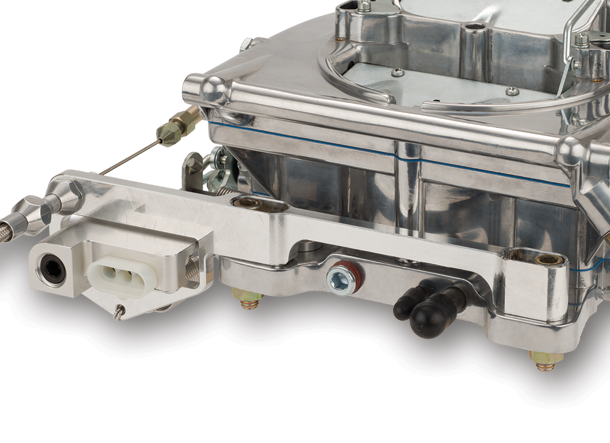 The product features dual stainless steel return springs and comes recommended by Holley.